Discussion in 'Downhill & Freeride' started by dirtpig, Jan 25, 2013. Buts I stumbled across this online and thought it was worth a post. Looks like a nice bike though. At least it will stand out in photos pleasing sponsors who put money back into the sport. Good photos for happy sponsors= better dh racing and coverage and product development so we can all have a great sport that we all enjoy. I like to call it the bigger picture. Agreed. 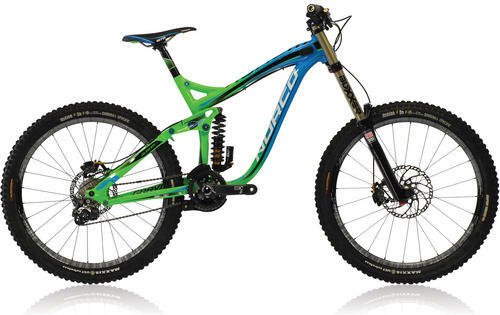 It'll look pretty awesome screaming down Val Di Sole with Hill on board. Anyone see any welds on that? Err, if you look closely, it's pretty clearly a photoshop alteration. Whether they do plan on painting one to look like that or not. (color bleed on most areas etc). PS: Why would CRC copy a production Norco color scheme anyways (albeit reversed)? that doesn't look legit. 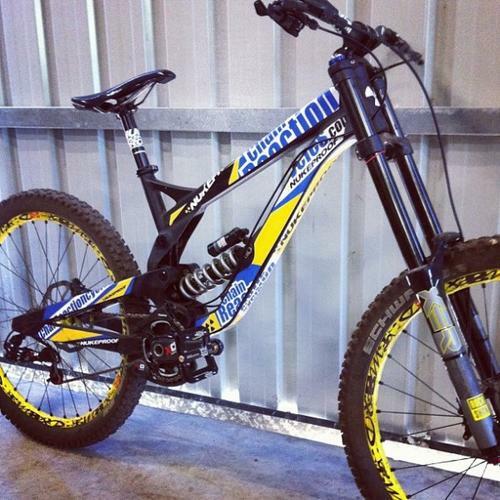 Looks like an 'artist's impression'.... more than likely the work of a norco fan. Having been to several factories here in Taiwan that make frames, rims, and components I can attest that the manufacturing is top notch and with a high attention to detail. While automation and mass production might be the trend at the low end, most of what any of us would buy is made by people with some serious skill. For the most part, when products are made poorly it's because the parent company or the owners are cutting corners or costs, and not because it is 'Made in Taiwan.' And as far as outsourcing goes, there are so many Westerners in these factories you'd forget you were is Asian half the time; welcome to the 21st century. PS. . . Made in America doesn't mean Made by Americans either. There are skilled artisans all over the globe, time for some people to get over it. QFT. This used to crack me up a few years ago, I worked at a shop in the south while I was in college, guys would come in and say there were only going to buy an "American made" bicycle. At the time we were a cannondale dealer so I would take them to the cheapest one we had which was 8-900 bucks, then they'd say they wanted something around 300, to which I would say "that doesn't exist." They would huff and puff about everything being made from Taiwan and China and stealing jobs and what not. I would also tell them that we had to warranty Cannondale frames about 10-1 to any of our other brands made overseas. Most of the time they left the store with a Specialized, despite their convictions. 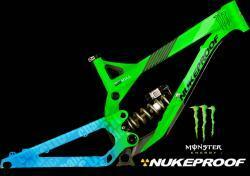 Nukeproof has to be the most aesthetically displeasing brand in the industry. I like the shape of the bike, but their schemes/motifs to tend to be...busy.